Food shopping is rarely an enjoyable chore for anybody, but for vegan consumers, a quick one-stop shopping trip is often more difficult, sometimes even impossible. 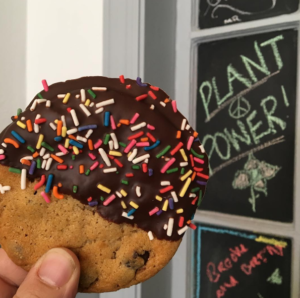 To remedy this lack of plant-based food shopping options, the owners of Sweet to Lick Bakery, Long Island’s first and only all-vegan bakery, will be enduring another first, opening Long Island’s first and only all-vegan supermarket, located just down the street. A vegan chocolate chip cookie dipped in chocolate and sprinkles. The bakery, located at 78 Hillside Ave. in Williston Park, will soon be going beyond just confectionery goods, expanding into the vacant space at 82A Hillside Ave. to create Sweet To Lick The Market. The official opening date for the market has not been announced, but will likely be mid to late summer. While it is still a work in progress, Sabet is certain that the market will include brands like Eat Nice, a wholesale vegan food company specializing in pasta products, and Yeah Dawg!! !, the maker of handmade vegan, soy-free and gluten-free hot dogs. Aside from pre-packaged grocery items, the store will also include food made in-house, a practice that the bakery prides itself on. The opening of the bakery in August 2013 was the culmination of a series of events, stemming from when Sabet met his wife, Kathee, a longtime vegan. While Sabet is not a vegan himself, he found that when the two would go out, there were very few, if any, vegan dinner and dessert options. 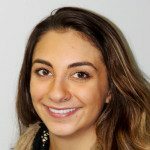 “I worked on making things for [Kathee] at home, and after years of failed items, eventually we came up with a cookie and a brownie and a couple of things that worked out,” said Sabet. While perfecting their recipes, free of any animal-based products, the two began participating in farmers markets, expanding the menu each time. When an actual storefront space became available, the idea to upgrade to a brick-and-mortar business seemed intuitive. 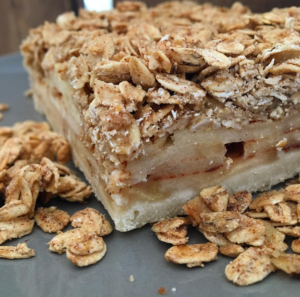 The granola apple pie bar is a popular dessert and breakfast treat. Every product is free of milk, eggs, butter, gelatin, honey and bone char sugar, adhering to strict vegan guidelines, with certain gluten-free options. Classic bakery items such as chocolate chip cookies, rainbow cookies, blondies, brownies and assorted cakes are usually in stock, with the frequent addition of seasonal and holiday-oriented creations. The most widely ordered items tend to be the whoopie cookies, cake pops and s’mores bars, all of which are made from scratch. “Killin it in the bakery game without hurting anything is what we do,” reads Sweet To Lick’s website, and Sabet does everything in his power to live up to that claim, devising a menu and continually introducing new items to keep customers coming back for more. Despite the business’s name, Sweet To Lick presents more than just desserts, serving lunch daily from 11 a.m. to 3 p.m. Menu options include Chipotle Seitan Tacos, grilled chipotle seitan with purple slaw, lime cream sauce and fresh cilantro; the Hulk Smash Chickpea Sandwich, pesto-laced chickpea salad with bits of celery on toasted whole wheat bread with organic greens and house-made pickles; and the Son of a Peach BBQ Hero, spice-rubbed strips of seitan on a hero with peach barbecue sauce, house-made pickles, purple slaw, fresh slices jalapeño and crushed potato chips, to name a few. Every two to three weeks, a specialty sandwich that is not typically on the menu is introduced. Ice cream sandwiches are back for the summer. 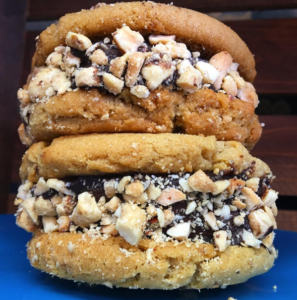 This sandwich consists of peanut butter cookies, chocolate ice cream and smashed peanuts. From the bakery to lunch service, all has been well received by the loyal customers, as well as those who curiously wander into the store upon passing, whether vegan or not. Sabet believes that the same will hold true for the soon-to-be market, and that clients of all dietary preferences can enjoy what the store will offer. For more information about Sweet To Lick Bakery, visit www.sweettolick.com or follow the Instagram and Facebook page (@sweettolick).